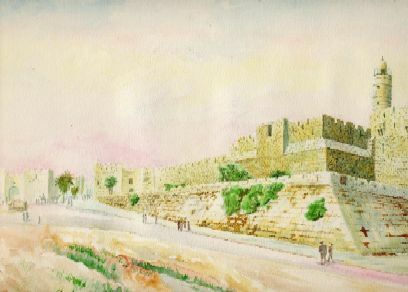 The traditional name Tower of David, said to be the result of the incorrect identification of this structure by Christian pilgrims in the Byzantine period, has in fact much earlier origins, mentioned in the writings of Josephus Flavius, The Jewish War. This massive tower was one of three built by King Herod the Great (1st century BCE), and named for his brother Phasael. (The others honored his wife Miriam and his good friend Hippicus.) Their purpose was not only to defend the city in general, but Herod’s neighboring palace as well.